Early June, the European Union was outraged to learn that the US National Security Agency (NSA) had developed a world computer surveillance program, called “Prism”, allowing its service to have access to many individuals’ personal data concerning their e-mail, SMS, Facebook messages, pictures, cloud … This is some side effect of the fight against terrorism, as revealed by Edward Snowden, a former employee of the NSA who turned into an informant activist, like Julian Assange (WikiLeaks) who has been charged for “espionage” by the U.S. court. The rumors about Edward Snowden hiding in Russia or requesting Equator for political asylum are all spread in the newspapers worldwide. On June 30th the new scandal came with the information given by the German magazine Der Spiegel that the European Union would also part of the “targets” of the National Security Agency (NSA) for Prism. 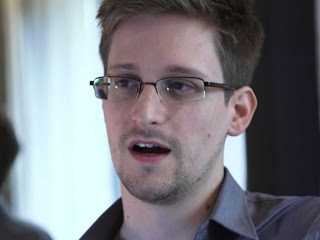 Der Spiegel based its article on confidential documents leaked by Edward Snowden. The U.S. authorities would have also touted the EU representatives in Washington, at the UN, but also in Brussels. E.U experts would have been targeted by the NSA, which bugged and infiltrated their computer network. The NSA is said to have tapped European Union council headquarters both telephone and internet networks and would have also done the same in NATO headquarters based near Brussels. These new twists in Snowden’s scandal stroke the European authorities who have requested some explanations from the American government. “There should be no spying between partners,” insisted the European Justice Commissioner Viviane Reding. On the American side, Ben Rhodes, Deputy National Security Advisor was the only to respond by saying that the Europeans are “among United States intelligence closest allies”. The best way to ensure that your personal data cannot be stolen on the Internet is to use a VPN service. Le VPN reduces your online movements by replacing your routing information through an anonymous IP address. Le VPN secure DNS servers keep secret queries you make, so that nobody can see your browsing history. In addition, your Internet connection is encrypted with a very strong system that protects you from hackers and illegal ears trying to listen and obtain sensitive information about you. Your Internet connection is hidden behind the numerous Le VPN servers: when you are connected to Le VPN, no one can access your computer or your mobile device without using Le VPN protected servers. There won’t be any other Prism leak with Le VPN.